Disclosure: This is not a compensated post. I was invited to attend this event. All words and opinions expressed are 100% my own. A few weeks back I had the chance to check out some of Leapfrogs newest products that will be coming out this Summer 2016 and Fall 2016, at their annual product showcase held in NYC. It's always a plus to meet the team behind your favorite brands. 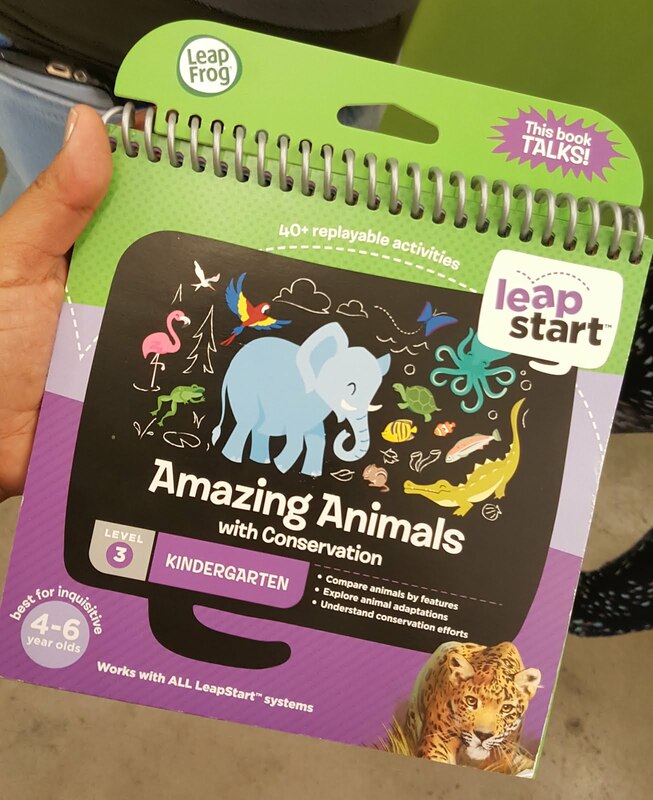 Leapfrog is definitely a staple in our household, who doesn't love fun, cute and educational toys. We were greeted with a nice light breakfast that we were able to enjoy while we waited to see Leapfrog latest products. 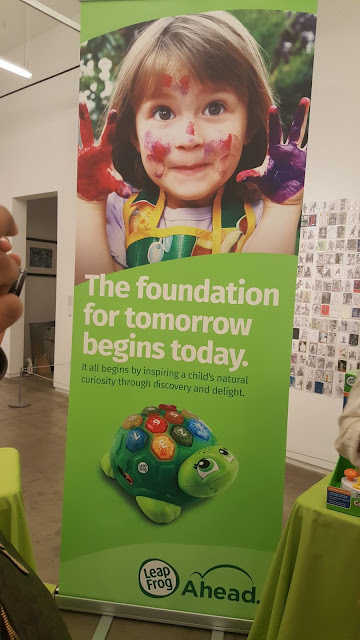 One of the first products that we got to see was one of Leapfrog newest products. 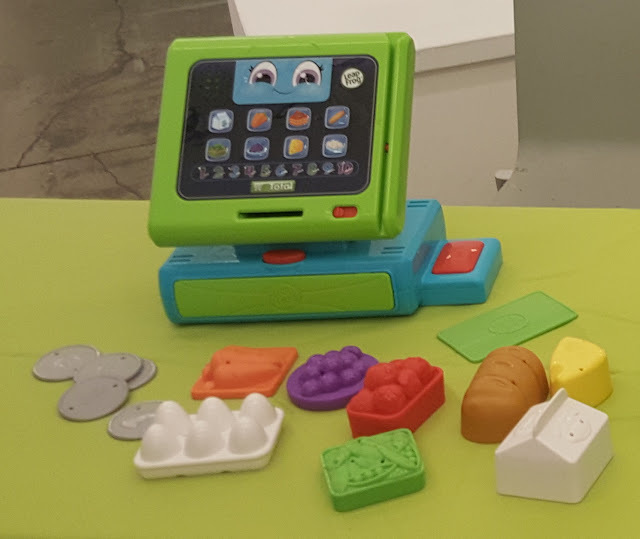 It is a great interactive system that is jam packed with great learning skills perfect for preschoolers to 1st graders. There are 16 activity books full of great learning skills needed for each level. It teaches ABCs, counting, problem solving, creativity, shapes, colors, music and even health. Little ones are introduced to reading, writing, early math, and even some school routines such as teamwork, communication and social skills. 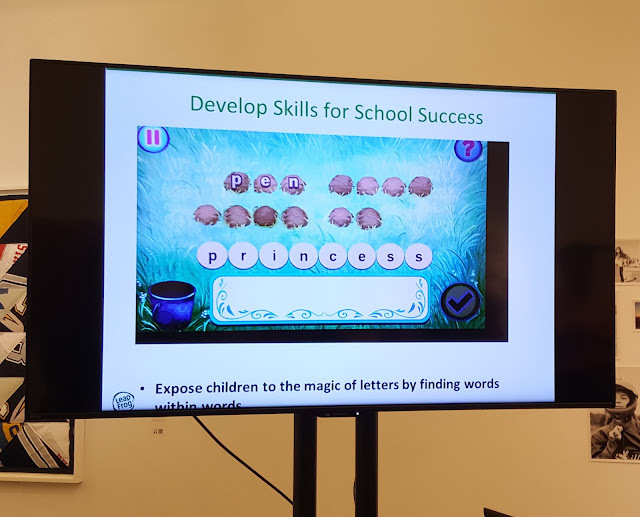 Kids are introduced to phonics, addiction, and subtraction. They will also learn global awareness and about animal conservation. As well as logic and reasoning. These are just a few of the learning skills, each activity book is packed with over 50+ key skills in each level. 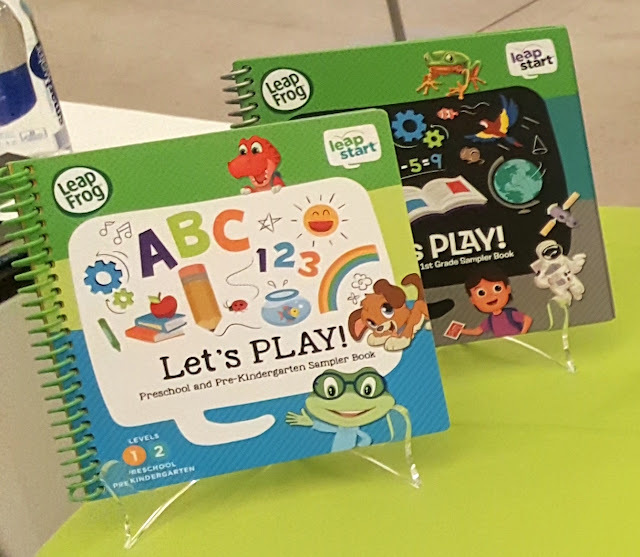 The Leapstart interactive systems all include a portable kid tough device with an easy grip stylus, a sampler book and a downloadable Guide to Getting Kids Ready for school. This LeapPad tablet offers a new way of play for kids and is recommended for kids ages 3-9. They get to unlock games with cards. They get to activate 30+cards with the LeapPad camera and bring characters to life. It is compatible with any of your older tablets that you already own. Perfect for these Summer Days and long road trips up ahead. Retail price is $129.99 and is available in two fun colors - Green & Purple. LeapFrog toys so cute and perfect for every age. 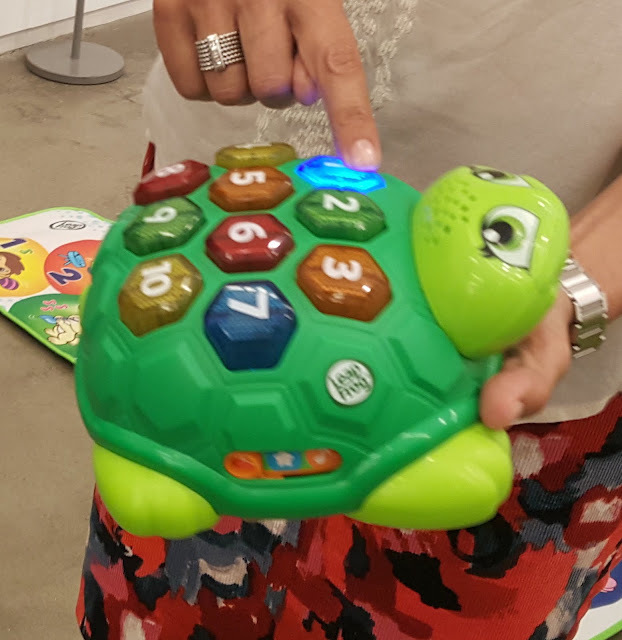 We also got to look at some of their newest toys and they are cuter than ever. The count along cash register will sing and help your child learn to count and about money while singing and having fun. It retails for about $19.99 and comes with everything pictured above. Aren't those little fruits the cutest? 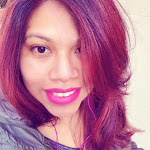 Valentina would love this and it will definitely ensure plenty of fun playing time. Melody the musical turtle is the cutest turtle you will ever meet. It's like playing musical squares, the squares light up and you have to memorize the order, it gets harder as you play along. These are just two of their newest products that will definitely be on every child's wish list. 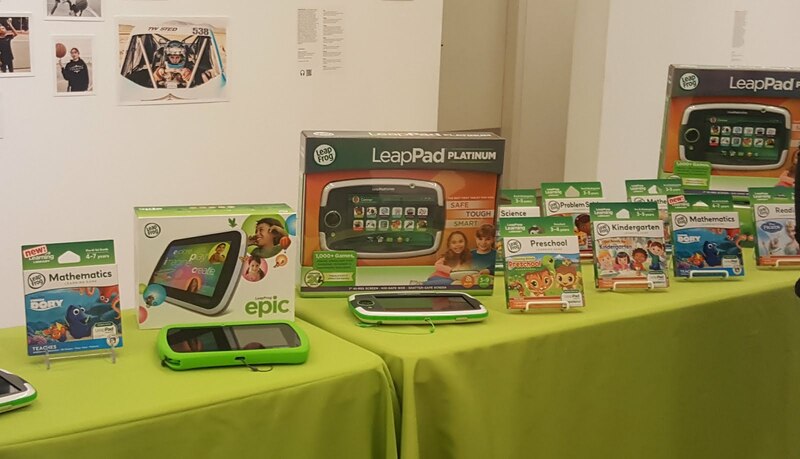 Make sure to follow www.Leapfrog.com for their latest news and products coming out these following months.